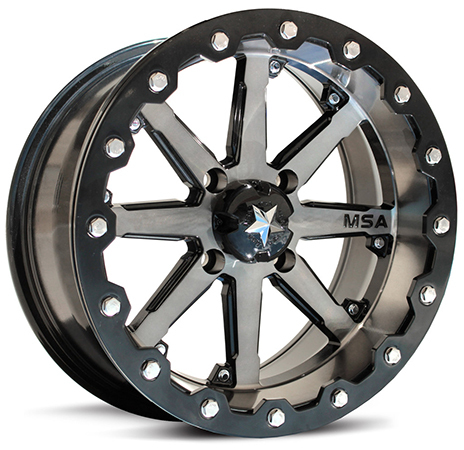 The M21 Lok wheel is a true beauty, with outstanding function and performance all engineered into one wheel. 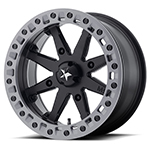 Its unique "gunmetal" finish is actually a dark tinted clear coat that is overlaid on top of the micro-machined wheel face which adds depth, and its charcoal highlights make it one of a kind. The Gunmetal finish is accented with gloss black automotive grade paint, which is specific to the M21 Lok - making it a true original!